Honeywell Dehumidifiers Can Help Cleanse Your Surrounding Air and Help Prevent Mold & Mildew for a more Comfortable Home Environment. The Honeywell Store's selection of Honeywell Humidifiers, Air Purifiers and Dehumidifiers are all an excellent means of improving the surrounding breathing air and can go a very long way in securing that extra peace of mind. Honeywell Dehumidifiers are an excellent addition for homeowners looking to combat a series of allergens such as mold and mildew. 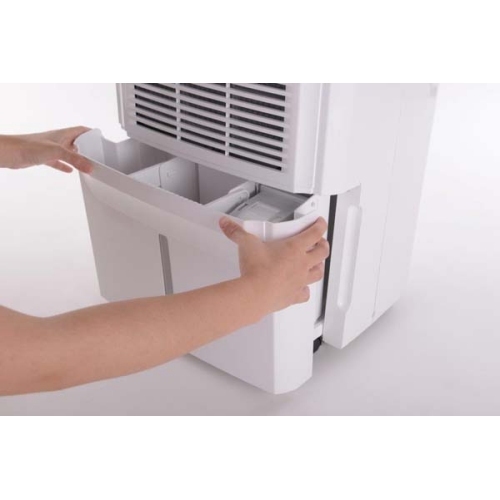 The Honeywell DH45W 45-Pint Dehumidifier, Energy Star Certified was designed for ease of use and features a number of beneficial additions that will allow owners to accurately maintain optimal levels in humidity. Incredibly durable and compact by design, Honeywell Humidifiers are easily transferable and encompassed in a glossy white exterior that blends elegantly in nearly any room. Capable of removing up to 45 pints of moisture daily from small to medium sized rooms, this is a great option for bedrooms, dens, bathrooms and living rooms. A Smart Digital Humidistat Control System has been implemented to perfection and will automatically measure a room's moisture levels while activating dehumidification to correctly sustain desired humidity levels. The addition of these humidity controls will allow you to effectively reduce and maintain a level of humidity that is agreeable for your surroundings. A detachable water tank with an ergonomic handle has been included and is capable of collecting up to 10.6 pints of moisture. Other additions such as a convenient full tank light, buzzer alert system front water level indicator and auto shut off/restart add tremendous versatility to an already performance exceeding dehumidifier. 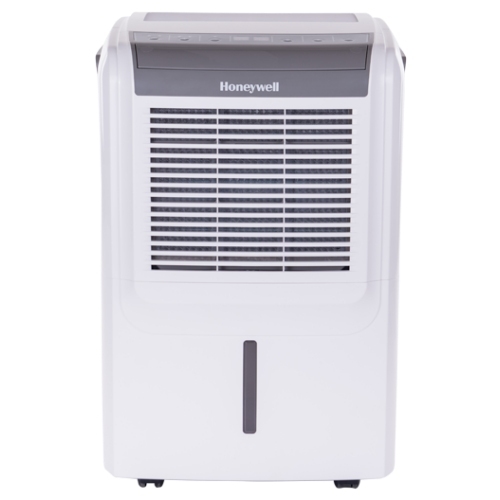 The Honeywell Store will also be including the Honeywell DH50W 50-Pint Dehumidifier, Energy Star Certified and Honeywell DH70W 70-Pint Dehumidifier, Energy Star Certified. Featuring all of the strengths of the previous model, these additions feature a broader capacity for combating allergens and removing moisture. 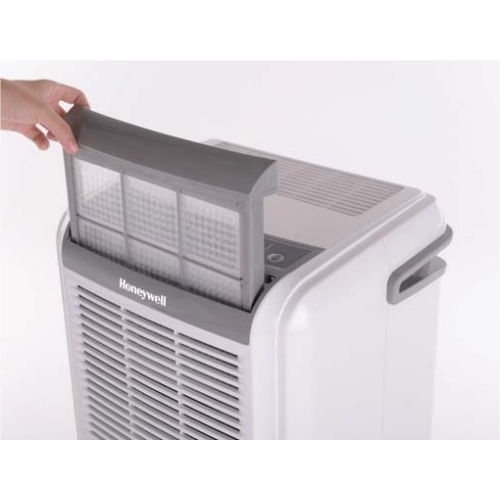 For additional information on Honeywell Dehumidifiers, Humidifiers, Air Purifiers and an extended selection of Filters, visit the Honeywell Store today.